The Fluoroscan® InSight™ FD Mini C-Arm, which represents a new generation of mini C-arm imaging from Hologic, made its debut at the end of January 2018. The Marlborough, MA-headquartered company said that this new system adds to its portfolio of skeletal health care products. The system offers a variety of improved imaging features, an enhanced interface, and more flexible storage and transport. Hardware updates include a streamlined monitor arm with integrated keyboard and reduced top casting. This provides an increased range of motion and positioning options in an operating room. The method for locking the C-arm also has been simplified, and the width of the system in locked position is reduced. Interface improvements include a pinch-to-zoom feature, notifications that enable a method of identifying saved images, a “save filter” to enable a clinician to filter for saved images, and an auto-save option that will retain all images acquired during a fluoroscopy session. The Fluoroscan® InSight FD Mini C-Arm provides high-resolution and low-dose rate modes, delivering a large image size and high image resolution on a 24-inch high definition touchscreen. Its low-dose rate mode enables users to reduce radiation dose rates by up to 50% compared to auto mode while continuing to deliver clinically equivalent images, according to Hologic. Its high-resolution mode provides full detector resolution. The MegaView™ Image in Review Mode feature provides clinicians with the option to display and view images that are 50% larger. Hologic advises that the system is currently commercially available for sale in the United States. 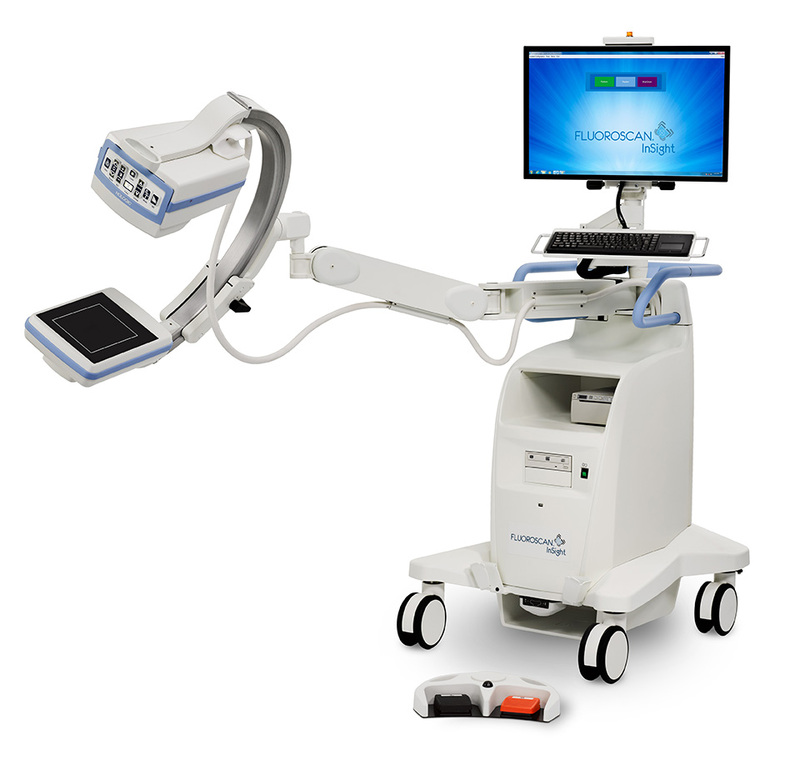 New mini C-arm extremities imaging system launched by Hologic. Appl Radiol.